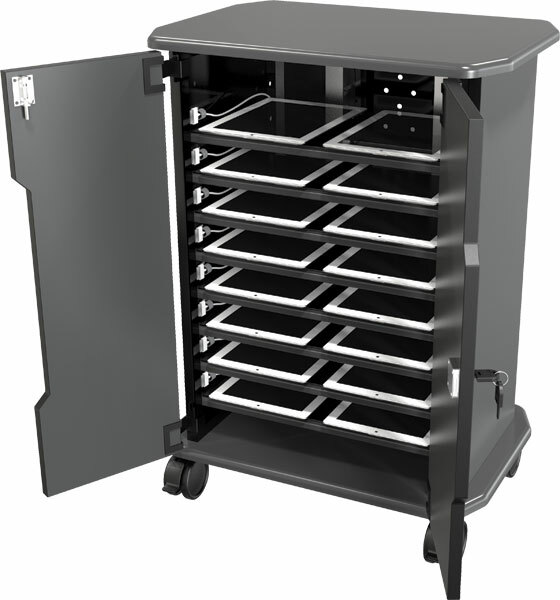 The Balt 27689 Economy Tablet Charging Cart is a compact and versatile tablet charge cart that keeps up to sixteen tablets secured and charged when not in use. 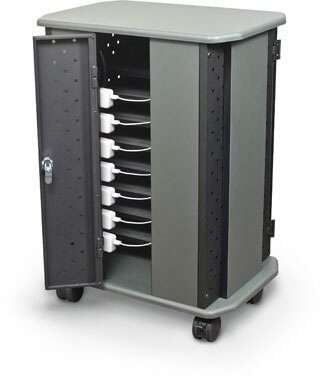 Eight shelves hold two devices each, with an 8-outlet power strip on each side of the cart to provide easy plug-in access for each tablet device. 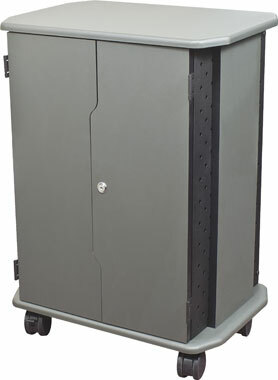 The front of the cart features two locking doors for easy front loading access of tablets, while the back of the cart features a smaller locking door for quick access to the electrical assemblies. 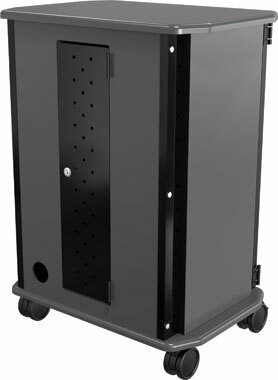 High-pressure laminate cart with ventilated metal back door to provide heat dissipation and prevent overheating of devices. 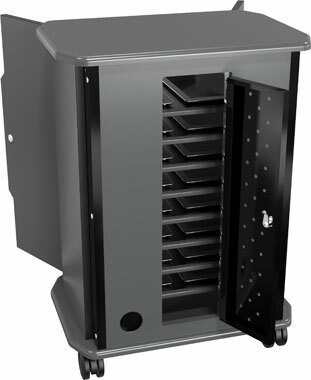 Includes cable management clips to keep cords neat and organized. 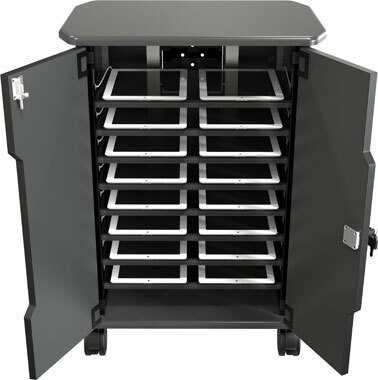 Device Compatibility: Apple iPad, Apple iPad Mini, Kindle Fire, Barnes & Noble Nook, HP TouchPad, Dell Streak, Samsung Galaxy, and more!